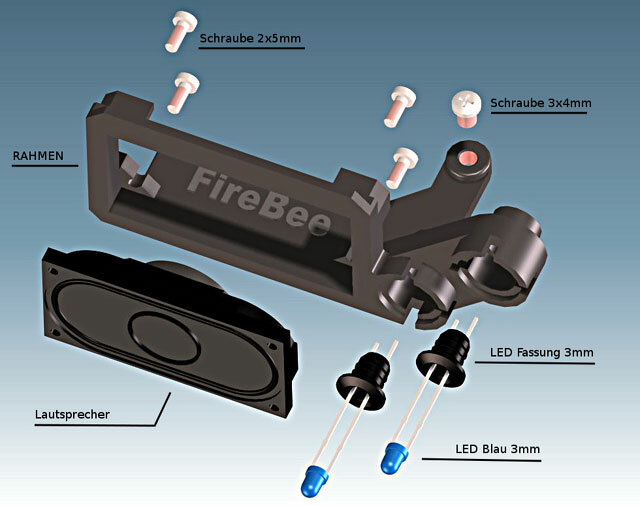 Those of you who already own a mini-case for the FireBee, might be interrested in our latest development. The LED- and Speaker-Clip for the mini-case makes it possible to mount all 3 parts and exchange them if needed at any later time. There is only this one chance to get this Clip, just 6 days left, no 2nd chance! So if you are interrested in one, drop us a mail to acpinfo at atari dot org. People who preordered a FireBee form the 2nd batch and wait for their mini-case, do not have to contact us. The clip will be automaticallay a part of every new mini-case that leaes Medusa Computer Systems. Final spurt, before we are going into production. Anybody else wants to order one? "The clip will be automaticallay a part of every new mini-case that leaes Medusa Computer Systems." I reread- I see it is part of new cases. cool. AtariSociety wrote: Will the cases now come with this led speaker clip for all new purchases of cases? Yes. Was my sentence above, or the huge article at firebee.org mistakable? Yes, I pointed that out too but since I could not delete the original question, I left it and said I found the answer. The status is; they are all in production. I sent you a mail at 15th of June about your order. If you didn´t recive any , it is moste likely in your spam folder. As alternative we can communicate with you over our new fallback mailbox acpinfo at atari-home dot de. Thanks for the confirmation Mathias! We got some ideas to ship it a lot cheaper, but let´s see.